Obituary for Anthony W. Bonina | Williams-Pedersen Funeral Home, Inc.
Anthony W. Bonina, 83, of Milford and a former longtime Upton resident, passed away on Saturday, April 13, 2019 at the Countryside Health Care of Milford after a long illness. He was the beloved husband of Susan A. (Leland) Bonina. 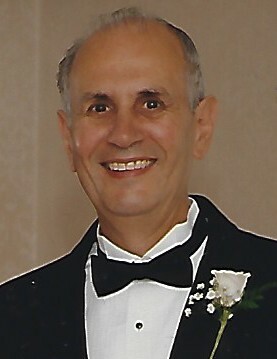 Born in Milford on May 19, 1935, he was a son of the late Biagio and Mary (Napoli) Bonina, Mr. Bonina was a graduate of Milford High School and Worcester Junior College where he earned his Associate Degree in engineering. Mr. Bonina was an Army veteran who served in the Korean Conflict. He was employed by the Draper Corporation in Hopedale for many years and later worked for the Avery-Dennison company in Framingham. Additionally, Mr. Bonina spent 28 years working for the Upton Board of Assessors. He was also a communicant of St. Gabriel the Archangel Parish in Upton. In addition to his beloved wife of 54 years, Anthony is survived by his children, Lisa Tieuli and her husband Alan of Upton, Bill Bonina and his wife Amy of Upton, Melissa Bonina of Upton and Tina Gebarowski and her husband Jon of Milford. He is also survived by his brother, Gaetano Bonina and his wife Sandra of Milford, his sister Ann Lemerise of Hopedale; ten grandchildren; and many nieces and nephews. His funeral Mass will be celebrated at 10 AM on Wednesday, April 17, in St. Gabriel the Archangel Parish, 151 Mendon Street, Upton. Burial, with military honors, will follow in Lakeview Cemetery in Upton. Calling hours at the Williams-Pedersen Funeral Home, Inc. 45 Main Street, Upton, are Tuesday, April 16, from 4 to 7 PM. In lieu of flowers, donations in his memory may be sent to Countryside Health Care of Milford, made payable to “GAM, Inc.”, One Countryside Drive, Milford, MA 01757, where he received loving and attentive care.